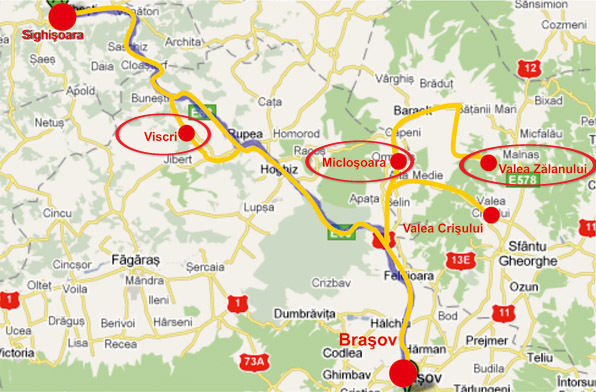 In the region between Sighişoara and Braşov, we offer accommodations in the villages of Micloşoara (Miklósvár) and Valea Zălanului (Zalánpatak). Most guesthouses date back to the 1800’s, although some of them are much older, as indicated by the presence of medieval shooting embrasures. 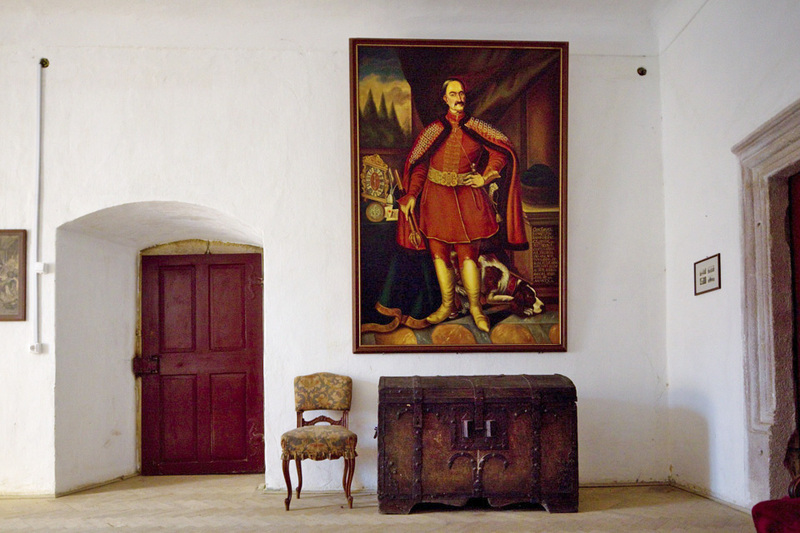 The buildings have been carefully restored in order to preserve their original Transylvanian charm and character. 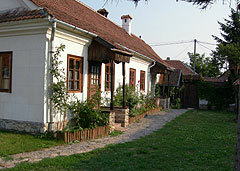 The guesthouses are situated within spacious gardens, some with storks nesting on nearby rooftops. 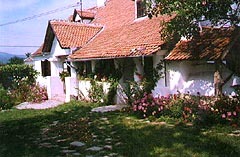 The houses are beautifully furnished with antiques in the Transylvanian Szekler and Saxon styles. To ensure that our guests have a warm and comfortable stay, we have enhanced the original heating system of wood stoves (except for Viscri which remains without central heating). The bathrooms are luxuriously equipped and decorated. 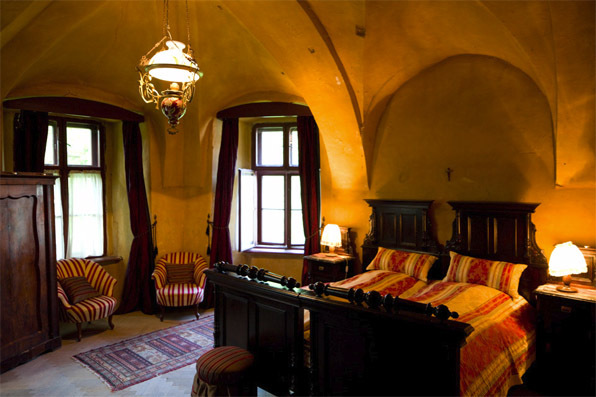 A sauna and a billiard room are also available for the guests to use at Miklósvár. Children are very welcome and the guesthouses are suitable for all ages. Our remote villages have little infrastructure, therefore we cannot (and do not wish to) claim technical perfection. There may be an occasional electricity failure; however, these are normally brief and rarely affect the enjoyment of our guests. The village streets remain unpaved and pot-holed, so can become dusty in the sun and muddy after the rain. There can be no denying the rustic charm and original Transylvanian character of the villages, which offers an opportunity to step back in time. 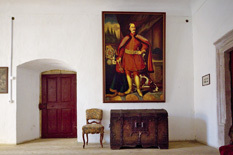 The guestrooms are furnished exclusively with antique Transylvanian furniture, including most of the textiles. All rooms have double beds with specially manufactured mattresses of pure wool and duvet covers. In order to create an atmosphere of peace and tranquillity, the rooms do not have television or radio; instead, you will find plenty of interesting books on the shelves. Each room has an electric kettle, with tea and coffee provided. The bathrooms respect western standards of comfort (some with hairdryers, some with floor heating and softened water), some with bathtubs, others with showers, and have a beauty and charm of their own. All bathrooms are private, most are en-suite (although the old Transylvanian village cottages were conceived without bathrooms). Every location has areas where guests can meet, read or play games and also have their meals. 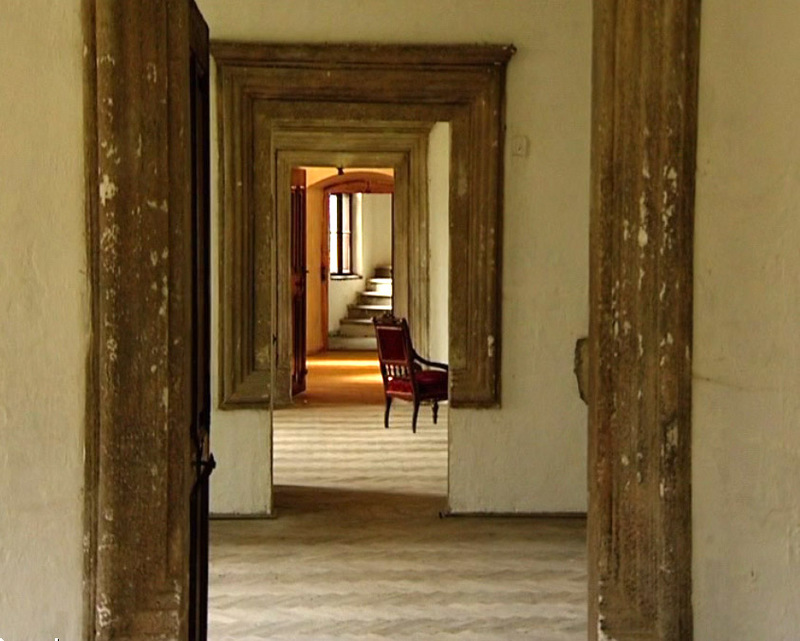 Impressive drawing- and dining rooms with large fireplaces are to be found at Miklósvár and Zalánpatak. There are arbours with benches and tables in all gardens. Our kitchens are also open to guests, and you will often enjoy your breakfast there. 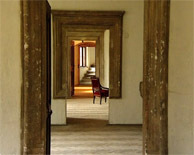 Miklósvár also has a billiard room within the lower houses. We try to source and produce locally as much food as possible for our guests. Every location has its own vegetable garden. We breed the rare ‘Black Transylvanian Bare Necked’ chicken. Eggs, milk, yoghurt, cheeses and honey come from the local sources. 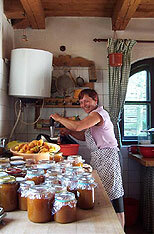 All jams and preserves are prepared in our kitchens. 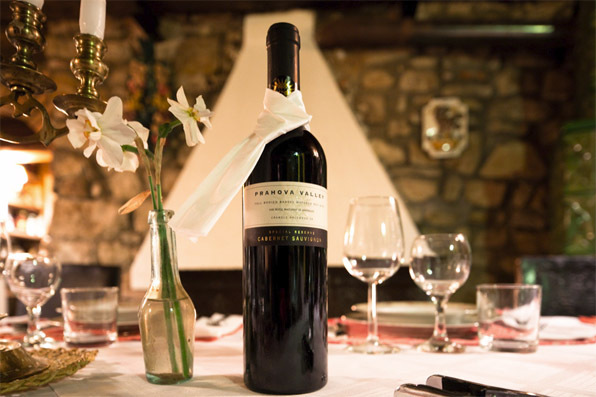 The three-course meals with wine are prepared as of old by the cooks who have been passing down the recipes for generations. We also cater for vegetarians or special dietary requests. 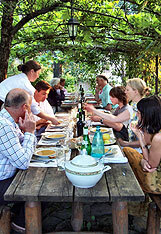 During tours, lunch is provided at a restaurant or in the form of a picnic (if you are in the countryside). Dinner is usually served as ‘table d’hôte’ in the common dining rooms. The evenings have often been praised as a continuous dinner party and a stay at the guesthouses as becoming part of Agatha Christie’s novels, just short of a corpse.